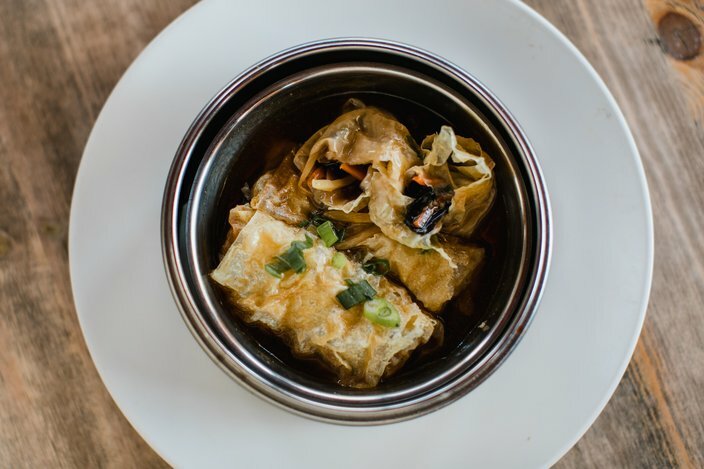 If you're looking for a spot to grab Chinese food on Dec. 25, try Dim Sum House. The restaurant at 3939 Walnut St. has recently added live seafood tanks and over 20 new menu items. 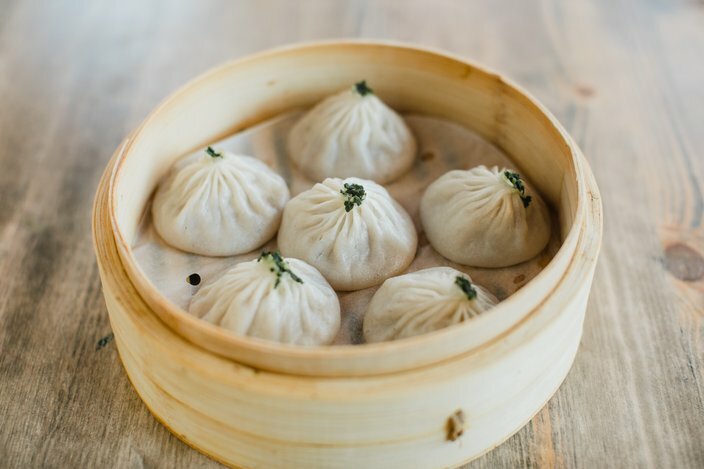 There are new Shanghai dim sum options like dark meat chicken in sweet Tso sauce wrapped in crispy puff pastry; new Cantonese dim sum options like a tofu-wrapped vegetable roll; new chef specialities like the chopped duck (bone-in) in spicy beer-based chili broth; and seafood dishes like ginger scallion lobster. 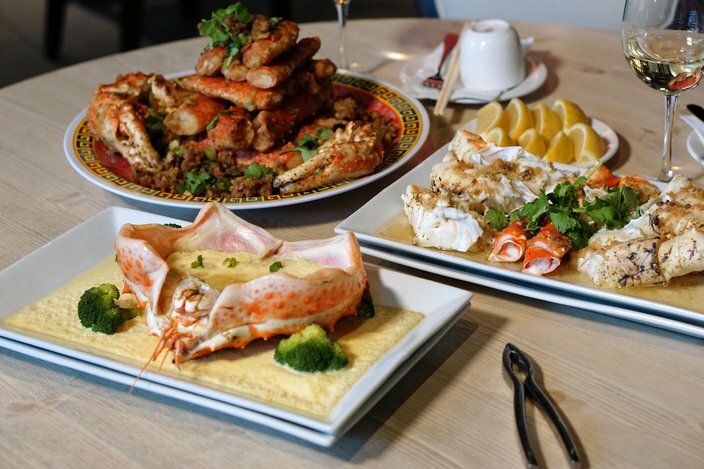 RELATED: Restaurant inspired by Taiwanese night markets now open in University City | Red Owl Tavern hosting dinner inspired by "A Christmas Story"
"Seafood is such an important part of Chinese cuisine," said owner Jackson Fu. "We wanted to evolve the menu and continue to offer more choices to our customers after nearly a year in business." "We want our guests to continue to try new dishes and experience new tastes," he added. 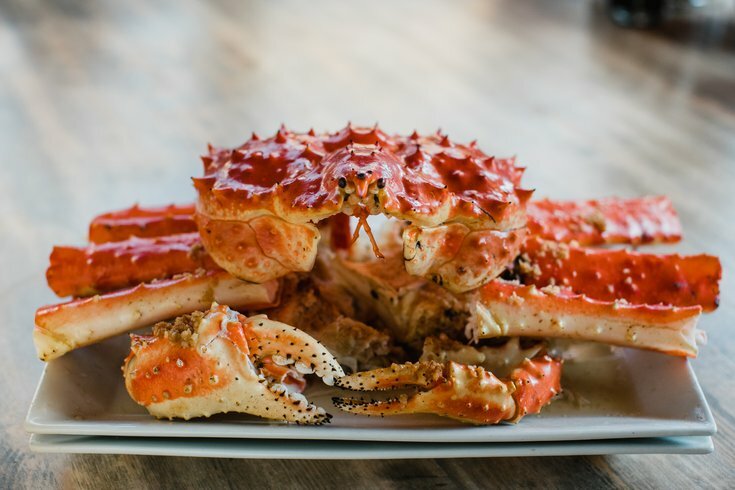 If you want to go all-out, indulge in the giant Norwegian King Crab. According to the restaurant, the delicacy serves as many as 6 to 10 people. Currently, eight pounds retails for $388 (market price can fluctuate). Think you and your friends can eat all this? If your mouth is already watering, you'll want to call ahead to reserve a crab. Only two of the crabs are available at any given time in the live tanks, so don't leave it up to chance. Reservations for the Norwegian King Crabs are suggested 24 hours in advance. 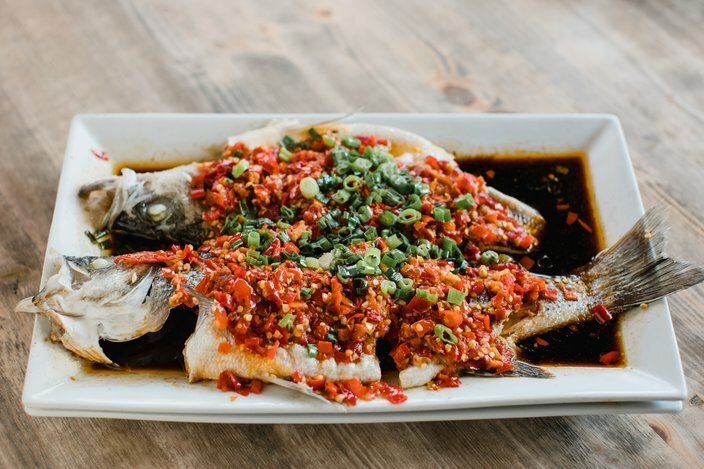 • Ginger Scallion Steamed Style - Steamed with a light drizzle of soy base sauce with a hint of ginger and scallion. This style will focus on the naturally sweet and succulent taste of the crab. 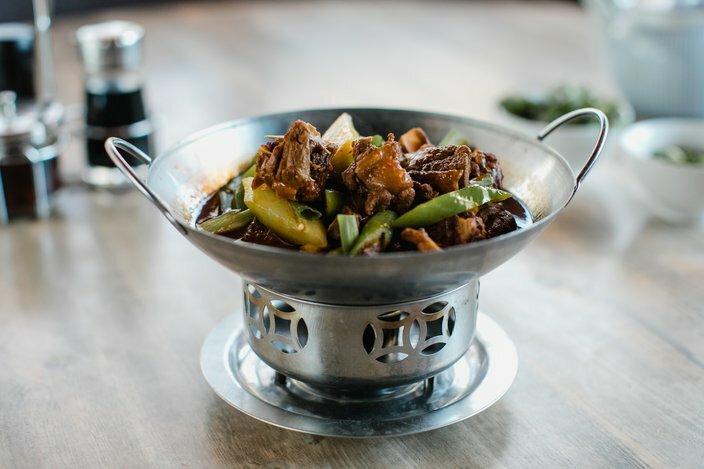 • Mince Pork with XO Sauce - The crab is lightly breaded, flash fried and finished in the wok with minced pork and XO sauce. 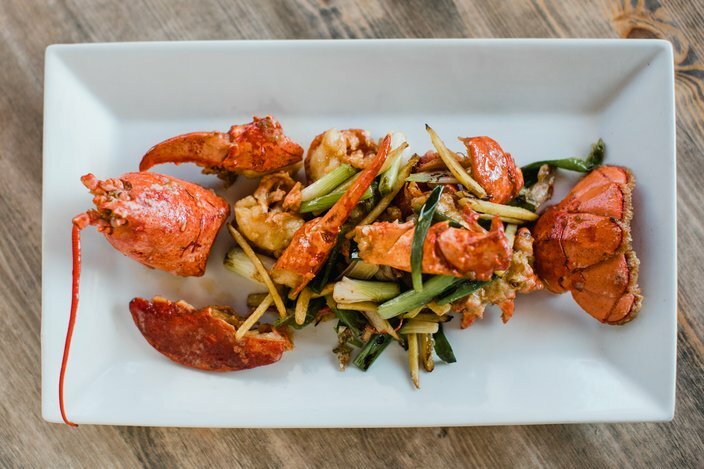 • Salt and Pepper Style - Lightly breaded crab is flash fried and stir fried in a wok with a light white sauce. It's accompanied with slices of jalapeños and bell pepper on a bed of shredded lettuce. 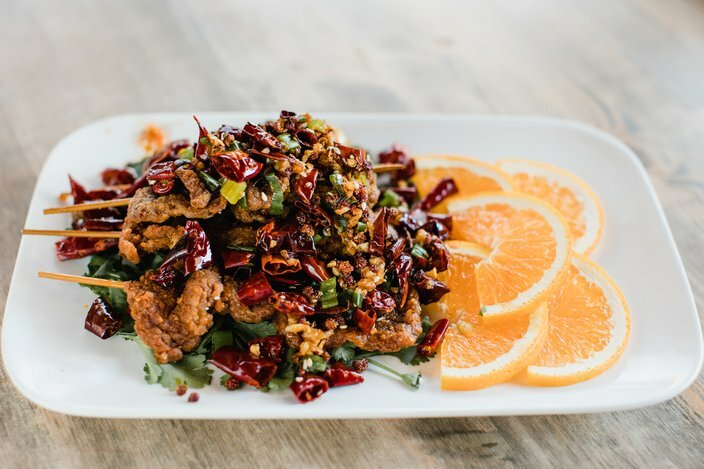 If you're more of the "It's cold out, so I'm not leaving the house"-type, you can still order a pile of Chinese food from Dim Sum House through Grubhub. Delivery started this fall. Below are photos of some of the new dishes. General Tso's chicken puff pastry. Chopped chili and whole fish. 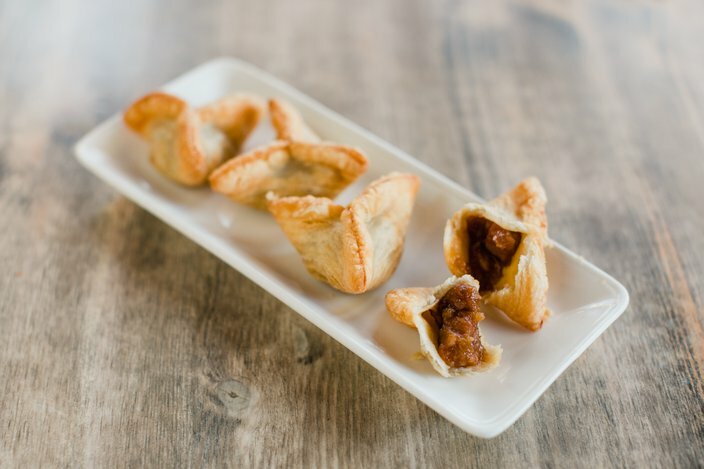 Dim Sum House opened on Jan. 11, 2017, and includes a full bar. The restaurant is located on the second floor, with the entrance found between 39th and 40th streets on Chestnut. Mondays: 11 a.m. to 10 p.m.
Tuesdays through Fridays: 11:30 a.m. to 2 a.m.
Saturdays through Sundays: 11 a.m. to 2 a.m.